Union Market is about to become an even more popular destination this summer, as the Washington Kastles' new stadium will be on the roof. The Kastles, which rapidly became one of the most successful teams in World Team Tennis since debuting in 2008, will begin play at the stadium July 15. According to Washington Kastles owner Mark Ein, the team had previously looked at the spot where Union Market's parking lot sits but couldn't figure out how to fit in the space. "The problem was no one looked up," Ein said at a press conference Friday. The Citi Open Tennis Tournament will remain in D.C. as a fundraiser of community programs for children. 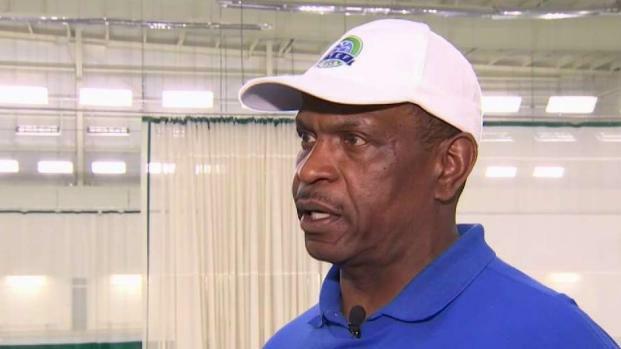 News4's Mark Segraves spoke with community members on the importance of the tennis tournament. Already, the Kastles have announced season tickets for certain sections are rapidly selling out. According to a tweet from the team, the stadium may entirely be filled with season ticket holders. With about 700 seats, the stadium at Union Market has only a third of the capacity of the team's former locations. Previously, the team has been housed at the site of the former Washington Convention Center, The Wharf and the Charles E. Smith Center at George Washington University. The new stadium is possible in part because Union Market owner EDENS Real Estate has been looking to find ways to activate the 8,000-square-foot rooftop space. The Kastles' first match will be the first public event on the rooftop. The team boasts several world-famous tennis players. 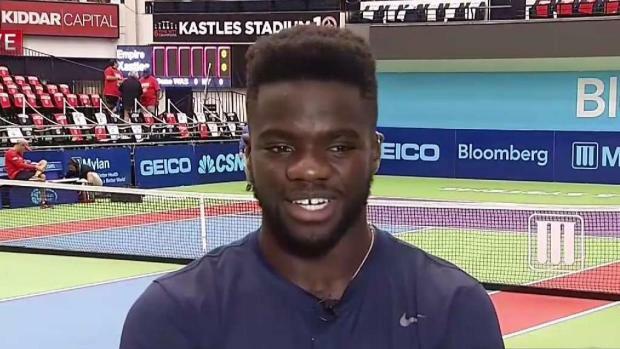 Frances Tiafoe, a Hyattsville, Maryland, native who is currently the youngest American ranked in the Top 50 of the Association of Tennis Professionals (ATP), is headlining the Kastles' first three matches. Venus Williams will be headlining a match July 25. The Washington Kastles team has won six total WTT titles since it was created as part of a league expansion. Team owner Mark Ein has heavily promoted tennis in the Washington area. ATP recently announced that he had invested in the Citi Open, one of the largest tennis tournaments in the United States, to ensure that it continues its more than 50-year history in Washington. Frances Tiafoe of Prince George's County returns home to play for the Washington Kastles Tuesday night after a first-round win at Wimbledon. The rising star talks about his rise in the tennis world and goals for the future. Jim Handly reports. The Kastles' regular season spans eight matches and lasts until July 27. Season tickets can be purchased on the team's website.